Interview with Alexandria LaFaye and Her Grand Giveaway! 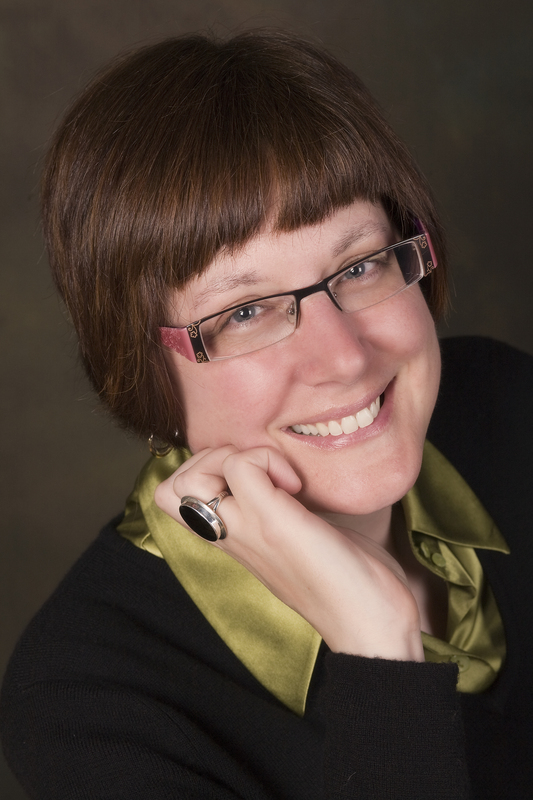 Today I am privileged to interview the award-winning author, Alexandria LaFaye. Known as A. LaFaye by her readers, she is a prolific writer of fantasy books, picture books, and historical fiction. She has won numerous awards for her writing and her newest picture book, FOLLOW ME DOWN TO NICODEMUS TOWN: Based on the History of the African American Pioneer Settlement received a starred review. Readers will be delighted by Alexandria’s lively lyrical language and Nicole Tadgell’s beautiful illustrations rendered in pencil and soft watercolors. The story is about young Dede and her family who have dreams of leaving sharecropping and owning their own piece of land. To make their dreams come true, each member of the family works hard. Besides working in the fields from “sun-climb to sun-slide,” Papa makes furniture, Dede shines shoes, and Mama sews fine dresses. When Dede sees a notice offering land for colored folk in Kansas, they work even harder. This is a story about a family working together to achieve their dreams. It’s a story of pride, hope, and feeling blessed for their neighbors and friends in their new town. It’s a story that will touch your heart. Alexandria also has a paperback version of WALKING HOME TO ROSIE LEE that was released the same day as FOLLOW ME DOWN TO NICODEMUS TOWN that tells the story of Dede’s father searching for her grandmother after the end of the Civil War. I’m so happy to have you as my guest today, Alexandria. First of all, I’d like to say Follow Me Down to Nicodemus Town is a beautiful book, and I’m extremely happy to have it as part of my picture book collection. I’m so honored to hear you say that. Thank you! The topic of this book is a part of our American history that many people may not be familiar. What made you decide to write a picture book based on the African-American land rush of the 1870s? If each person commits to building a society focused on social justice, equity, and cross-cultural understanding, and the power of art to transform lives, then we will all be a part of building the future we want to see—the future I long to see is one where every voice is heard, every story is told, and no chapter of history is unknown. For these reasons, I love to uncover little known elements of history—the forced removal of the Aleutian Indians (see Hesse’s Aleutian Sparrow), the amazing efforts of African-American families to reunify before and after the Emancipation Proclamation (see my book which debuts in paperback Jan. 1—Walking Home to Rosie Lee) and the story of the Exodusters who joined the land rush. Since I started the research for FOLLOW ME DOWN TO NICODEMUS TOWN, nearly every person I’ve asked about Exodusters has never even heard of them and, in my opinion, they should be well known. I want to be a small part of revealing their story. As a writer of historical fiction, how do you keep readers engaged in the story while still being informative? Historical fiction comes alive when we draw people into the life of a compelling character who could realistically have lived in that time. If I can bring that character’s story to life in a way that makes readers feel as if they are right alongside that character—struggling and yearning and growing, then they want to keep turning the pages. Or at least, I hope they do! It’s also important to show the historical world through the eyes of the character because they provide a unique, historically-grounded worldview that creates a literary version of time travel for the reader. What are some of the things you do to motivate contemporary readers to embrace historical fiction in a picture book? My primary goal is to create a character who has goals, emotions, and challenges that still resonate with contemporary readers in the hopes that kids of today realize they have something in common with the people who lived before them. As I draw readers into the character’s life, I want to introduce things readers may not have ever known or thought about before and that expands their worldview, ignites their curiosity, and inspires them to want to know more about the past, various cultures (past and present), and themselves. Why is this genre special to you? I’ve always loved history—the people of the past who have been such a large part of building the future I currently live in. 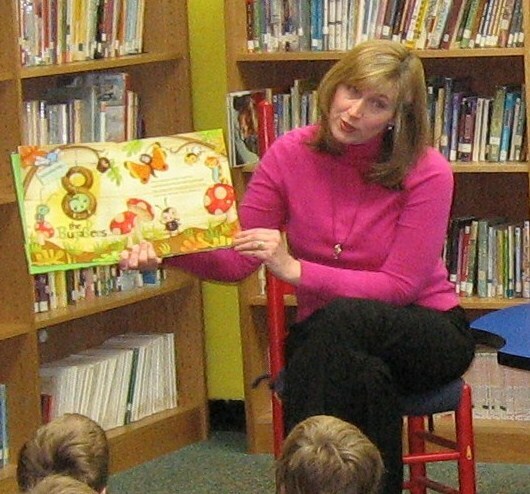 I want to bring that fascination alive for young readers. In order to keep historical fiction stories accurate, research is needed. How do you approach researching an idea? There is no single approach to research that I’ve found to be a sure-fire way to find the most accurate information, but some approaches I have used in the past—diaries, newspaper articles, academic articles by academic historians, museum collections, historical archives, first-hand accounts, national park resources, to name a few. In 1996, President Clinton declared five historic buildings in Nicodemus part of the National Park System and made Nicodemus, Kansas a National Historic Site. Did you have the opportunity to visit Nicodemus, Kansas? I so wish I had. To be honest, I regret that I haven’t been able to go, but I did watch documentaries, pour over photographs, read all of the primary and secondary sources I could find about the town and the people who started the community. I’m so fortunate that the illustrator, Nicole Tadgell was able to go to Nicodemus to get the visual details just right. What was your first impression after seeing the final illustrated version of this book? Gratitude. I’m so grateful to Ms. Tadgell for her amazing talent. The illustrations are so full of life, historical accuracy, and beauty, I couldn’t be happier! I agree with you. Your words and her illustrations make a fabulous story! Out of curiosity, why did you decide to use A. LaFaye as your author name rather than your entire first name? Well, when you have a five syllable first name like I do, there’s a good chance that someone is going to miss a part of it. In fact, my name was misspelled as “Alexandra” on my first galley! Not only is it really tough to misspell “A,” but it’s also gender neutral and it raises a question that draws people in…what does the “A” stand for? What can your picture book fans hope to see from you next? I’m thrilled to say that my next project is a collaboration with the talented Lea Lyon, we’ve created a book together called Ready to Fly with illustrations by Jessica Gibson. This book is about Sylvia Townsend, an amazing African American ballet dancer and dance school founder and instructor who was denied access to dance classes as a child in 1950s California who taught herself and others how to dance ballet using books from the bookmobile. Talk about perseverance, talent, and ingenuity, she’s amazing and her story should be told and shared. The book will be published by HarperCollins in 2020. It sounds amazing. I can’t wait to read it. It has been wonderful learning more about you and your writing, Alexandria. Thank you for being a part of my blog. And now for Alexandria’s Great Giveaway. This talented author has agreed to give away to one lucky winner his/her choice of a free picture book critique, an autographed book, or a Skype visit. For a chance to win, leave a comment about the post below. Please note: You must be a resident of the U.S. and at least 18 years of age to enter. The giveaway ends on Wednesday, January 16th at midnight EST. The winner will be randomly picked and announced on my blog post on Thursday, January 17th. Meet Amy Recob. She’s a marketing communications professional, a mom, a food safety advocate, and the author of The BugaBees: friends with food allergies. Amy has written a charming book with a very important message. 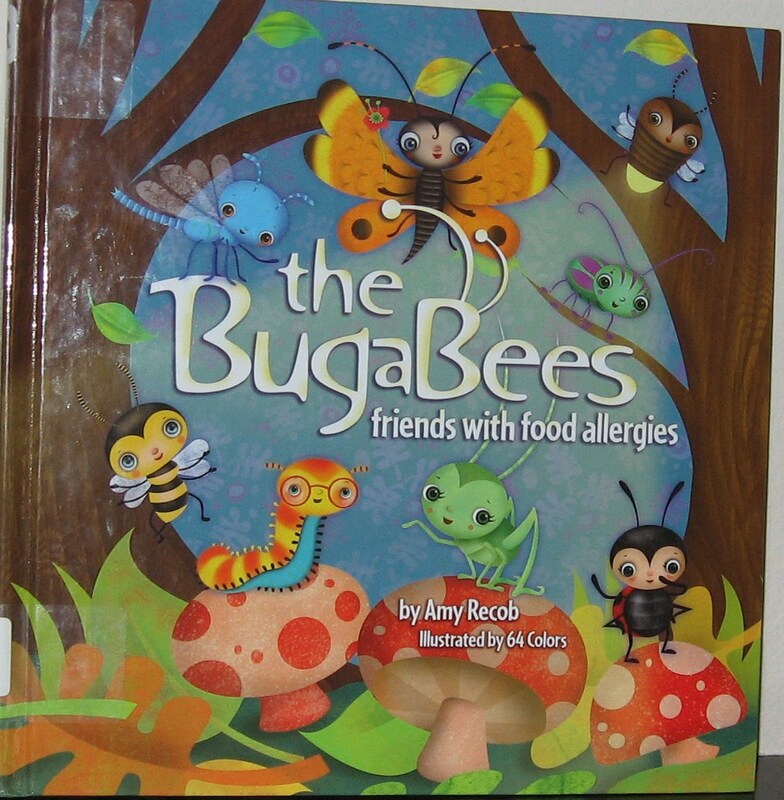 Using lyrical rhymes and eye-catching illustrations, Amy introduces us to the BugaBees, eight friends who have eight different food allergies. The BugaBees show children who are allergic to certain foods how to stay safe and healthy and still have fun with their friends. At the end of the story, there are activities that encourage children to talk about food allergies and learn more about safety and prevention. It’s heartwarming to know that a portion of the proceeds from Amy’s book will help fund programs dedicated to food allergy research, treatment, and prevention. Here’s Amy to share more about The Bugabees. 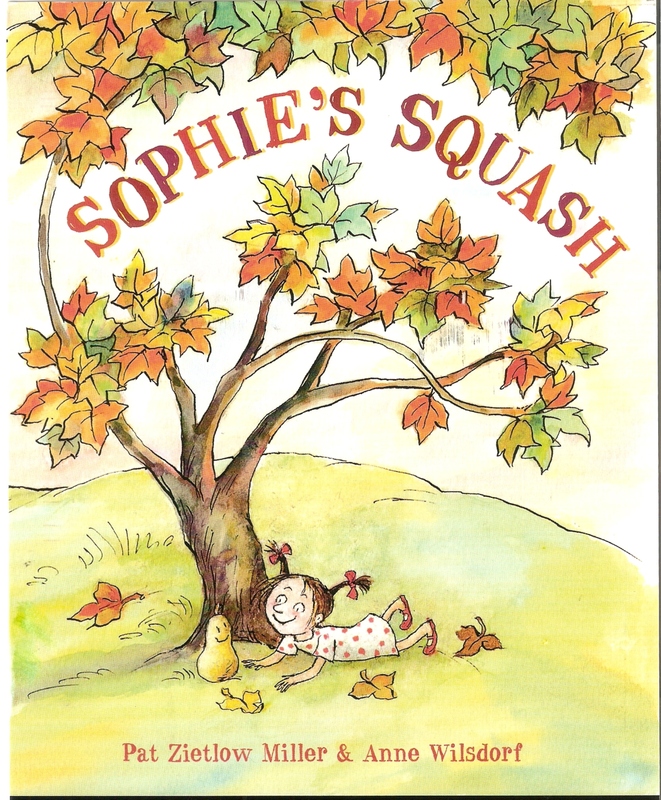 I wrote the book for my daughter, Mollie, who was diagnosed with severe peanut and tree nut allergies at 18 months of age. As she got older and began to participate in more social activities, it became clear that there were real emotional consequences in addition to the physical ones. More times than not, she was unable to enjoy the special treats all of her friends could and it made her feel sad and excluded. So I wanted to write the book as a way to help her cope with those feelings, and to remember that missing out on certain types of food doesn’t mean missing out on all the fun. I love the title. How did you come up with it? When I was developing the characters for the story, I wanted to choose something loosely representative of Mollie, so I began to look for ideas about what that might be. At the time, one of Mollie’s favorite toys was a little plush bug that wiggled when you pulled its string. And one of her grandmas used to call her a little “Bugaboo” when she was a baby, so I just thought to modify that to rhyme with “allergies” and came up with the BugaBees! What type of research did you do to get ready for writing your book? Most of the research was based on my own personal experiences living with a child with food allergies, but I did have some medical consultants review my writing and provide feedback as well. Can you share some interesting tidbits you learned while doing research? While some people with peanut allergies can have a reaction simply through smell or touch, I learned that people with shellfish allergies have to actually ingest the food to have an allergic reaction. My initial draft of Butterfly at the beach had her just “touching” a shellfish, but after medical review, we changed it to just “tasting” one. I also learned through personal experience that food allergens can be hidden anywhere! We went to one restaurant that apparently made their pancakes with peanut oil. Those kinds of encounters are what inspired me to create the activity pages in the back and teach kids to always “ask and tell” about their food allergy. You can never assume a food is safe, so I wanted to give examples of that as well. I loved every part, but if I had to pick one, I would say it was Mollie’s enthusiasm for the story. I initially had never intended to have it published, but when she would ask to hear it over and over again, I realized there were a lot of other kids out there just like her that could benefit from its message. The illustrations are bright and fun. Tell us about them. The illustrations were one of the toughest parts of the book creation – simply because I was very particular about what the characters looked like. We went through three other designers before we found Laura and Eric Ovresat (who make up 64 Colors). I really love their visual interpretation of the BugaBees and am so happy with what they developed for the book. Is there any advice you’d like to give parents and teachers about food allergies? That’s a complicated question because some teachers and parents are extremely thoughtful and supportive of kids with food allergies, and others quite frankly are not. I guess the best overall advice I can give is to remember you’re dealing with innocent children — young souls who didn’t ask for this, but are trying their best to manage it at a very young age. As parents and teachers, it’s our job to make them feel safe and cared for, and with a little extra effort on our part, that’s a fairly easy thing to do. Are you working on anything new? What can we look forward to in the future? I have a follow-up book to The BugaBees currently in the works, as well as some possible merchandising ideas for Cricket and the gang …lots of fun stuff to look forward to if I can manage to keep up with it all! Are there other books about food allergies that you’d like to recommend? I just discovered a series of books called the “No Biggie Bunch” which I really like. The overall message is similar to that of the BugaBees — if you remain optimistic and informed, you can overcome any challenges brought about by food allergies. I know food allergies are serious, but is there a humorous anecdote that you’d like to share? The most humorous things probably come from all the school visits I do. After we read the book, there are always the kids who love to loudly exclaim “BARF” and “PUKE” when I ask if they remember any potential symptoms of an allergic reaction. I also get a lot of long, elaborate stories about their friend’s mother’s cousin who is allergic to something … I’ve heard a wide variety of random things like chicken, Pop Rocks (the candy) and even paper! Now THAT would be a difficult allergy to have. What is your contact information for those who are interested in having you do a presentation? The best way to contact me is via email at amy@thebugabees.com!